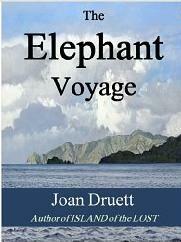 THE ELEPHANT VOYAGE - After their boats are blown offshore from one of the most icy and hostile islands in the sub-Antarctic ocean, twelve men are left to live or die by their own wits and stamina. Six survive, to be carried to New Zealand—where the inquiry and court case that follow become an international controversy, with repercussions that reach as far as the desk of the president of the United States. Calafia’s Kingdom - Book two of the Promise of Gold trilogy. Like a phantom dogging Harriet Gray’s trail, Frank Sefton is polished, charming—and utterly ruthless. Once, he abandoned the actress to a miserable fate on the far-flung shores of New Zealand. 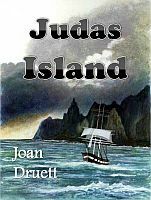 Now, he is back in her life—full of devious schemes to rob and mortify her, far from the protection of Captain Jake Dexter, and his gold-seeking crew. Calafia’s Kingdom is now available on Kindle. Old Salt Press is an independent press catering to those who love books about ships and the sea. We are an association of writers working together to produce the very best of nautical and maritime fiction and non-fiction. We invite you to join us as we go down to the sea in books. The year is 1905, and the heyday of Thames, in the goldfields of New Zealand. Back in 1867, Captain Jake Dexter, a flamboyant adventurer and pirate, and his mistress, the actress Harriet Gray, invested the fortune they made during the gold rushes of California and Australia in a theatre and hotel called the Golden Goose, which has become an internationally acclaimed tourist venue, famous for its Murder Mystery Weekends. Guests gather, and a fake murder is staged, and it is up to them to find the killer. But this hugely successful venture is now at great risk. Timothy Dexter, an American of dubious ancestry, threatens the inheritance of the Golden Goose Hotel, and the Gray family gathers to hold a council of war, interrupted when a real murder intervenes. And a young tourist, Cissy Miller, entrusted with a Harlequin costume and a very strange mission, may be the only one to hold the key to the mystery. Honour Bound is the 10th book in The Fighting Sail Series by Alaric Bond. Satisfied that he has forged HMS Kestrel into a formidable weapon, Commander King is keen to take her to sea once more. But the war is not progressing well for Britain, and his hopes of remaining in Malta are shattered as Kestrel is moved closer to the action. Containing breathtaking sea battles, tense personal drama and an insight into the social etiquette of both Britain and France, Honour Bound is a story brim-filled with action and historical detail. Money ships were wrecks of treasure-galleons belched up from the bottom of the sea after tremendous storms, yielding doubloons and all kinds of precious treasure … gold bars and bullion, chests of brilliant gems. Oriental adventurer Captain Rochester spun an entrancing tale to Jerusha, seafaring daughter of Captain Michael Gardiner — a story of a money ship, hidden in the turquoise waters of the South China Sea, which was nothing less than the lost trove of the pirate Hochman. As Jerusha was to find, though, the clues that pointed the way to fabled riches were strange indeed — a haunted islet on an estuary in Borneo, an obelisk with a carving of a rampant dragon, a legend of kings and native priests at war, and of magically triggered tempests that swept warriors upriver. And even if the clues were solved, the route to riches was tortuous, involving treachery, adultery, murder, labyrinthine Malayan politics … and, ultimately, Jerusha’s own arranged marriage. Christmas 1803, although the group of shipwrecked Royal Navy seamen have anything but festivities in mind as they pitch their wits against a French force sent to catch them. 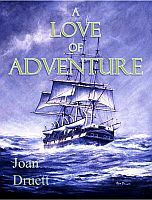 And all the while rescue, in the shape of a British frigate, lies temptingly close, yet just beyond their reach… Encompassing vicious sea battles, spirited land action and treachery from friend as much as foe, The Blackstrap Station tells a stirring tale of courage, honour and loyalty, set against the backdrop of what becomes a broiling Mediterranean summer. Another wonderful release in time for the holidays. Antione Vanner’s Britannia’s Spartan is the fourth volume of the Dawlish Chronicles. It is 1882 and Captain Nicholas Dawlish has just taken command of the Royal Navy’s newest cruiser, HMS Leonidas. Her voyage to the Far East is to be a peaceful venture, a test of this innovative vessel’s engines and boilers. It should bear no relation to the nightmare of failure in China that Dawlish remembers as his baptism of fire as a boy. As HMS Leonidas arrives in Hong Kong Dawlish has no forewarning of the nightmare of riot, treachery, massacre and battle that he and his crew will encounter. Alaric Bond’s new novel HMS Prometheus is the eighth book in his Fighting Sail Series. Autumn 1803, and Britain remains under the threat of invasion. HMS Prometheus is needed to reinforce Nelson’s squadron blockading the French off Toulon, but a major action has left her severely damaged and the British Fleet outnumbered. Prometheus must be brought back to fighting order without delay, and the work proves more than a simple refit. Barbary pirates, shore batteries and the powerful French Navy are conventional foes, although the men of Prometheus encounter equally dangerous enemies within their own ranks. A story that combines vivid action with sensitive character portrayal. Rick Spilman’s latest novel, The Shantyman, is being featured as one of Kirkus’ Indie Books of the Month for August. Summer, 1803: the uneasy peace with France is over, and Britain has once more been plunged into the turmoil of war. After a spell on the beach, Sir Richard Banks is appointed to HMS Prometheus, a seventy-four gun line-of-battleship which an eager Admiralty loses no time in ordering to sea. The ship is fresh from a major re-fit, but Banks has spent the last year with his wife and young family: will he prove himself worthy of such a powerful vessel, and can he rely on his officers to support him? With excitement both aboard ship and ashore, gripping sea battles, a daring rescue and intense personal intrigue, The Scent of Corruption is a non-stop nautical thriller in the best traditions of the genre. 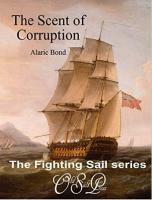 The Scent of Corruption is number seven in the Fighting Sail series. It was not j ust the men who lived on the brink of peril when under sail at sea. Lucretia Jansz, who was enslaved as a concubine in 1629, was just one woman who endured a castaway experience. 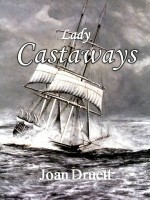 Award-winning historian Joan Druett (Island of the Lost, The Elephant Voyage), relates the stories of women who survived remarkable challenges, from heroines like Mary Ann Jewell, the “governess” of Auckland Island in the icy sub-Antarctic, to Millie Jenkins, whose ship was sunk by a whale. TUPAIA, THE REMARKABLE STORY OF CAPTAIN COOK’S POLYNESIAN NAVIGATOR will be published in February 2015 by LOCUS PUBLISHING, Taiwan. It will be a featured book at the Taipei International Book Exhibition (TIBE) in February, where New Zealand is the honored guest and theme country. 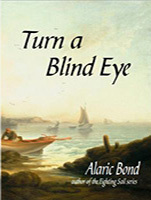 The Torrid Zone is the sixth book of Alaric Bond’s Fighting Sail Series. A tired ship with a worn out crew, but HMS Scylla has one more trip to make before her much postponed re-fit. Bound for St Helena, she is to deliver the island’s next governor; a simple enough mission and, as peace looks likely to be declared, no one is expecting difficulties. Except, perhaps, the commander of a powerful French battle squadron, who has other ideas. With conflict and intrigue at sea and ashore, The Torrid Zone is filled to the gunnels with action, excitement and fascinating historical detail; a truly engaging read. Alaric Bond’s eighth novel, The Guinea Boat. Set in Hastings, Sussex during the early part of 1803, Guinea Boat tells the story of two young lads, and the diverse paths they take to make a living on the water. Britain is still at an uneasy peace with France, but there is action and intrigue a plenty along the south-east coast. Private fights and family feuds abound; a hot press threatens the livelihoods of many, while the newly re-formed Sea Fencibles begin a careful watch on Bonaparte’s ever growing invasion fleet. And to top it all, free trading has grown to the extent that it is now a major industry, and one barely kept in check by the efforts of the preventive men. Relive the pleasure of falling into the past in Volume II of Blackwell’s Adventures. Available on Amazon, Barnes & Noble and other on-line retailers. THE ELEPHANT VOYAGE – After their boats are blown offshore from one of the most icy and hostile islands in the sub-Antarctic ocean, twelve men are left to live or die by their own wits and stamina. Six survive, to be carried to New Zealand—where the inquiry and court case that follow become an international controversy, with repercussions that reach as far as the desk of the president of the United States. Hell Around the Horn is available as a Kindle ebook and in print on Amazon, Barnes and Noble and other on-line booksellers..
BLOODY RAIN – Murder, Madness and the Monsoon. The Queen Charlotte was anchored fore and aft off the Calcutta wharves in the Hoogly River, waiting for cargo. She was a fine, three masted iron bark; trim, low and fast on a reach – in all respects, the perfection of the shipbuilder’s art. If she had a single great flaw, it was on her quarterdeck in the man that the owners had chosen as captain.